In May 2013, Glenn Greenwald set out for Hong Kong to meet an anonymous source who claimed to have astonishing evidence of pervasive government spying and insisted on communicating only through heavily encrypted channels. That source turned out to be the 29-year-old NSA contractor and whistleblower Edward Snowden, and his revelations about the agency's widespread, systemic overreach proved to be some of the most explosive and consequential news in recent history, triggering a fierce debate over national security and information privacy. As the arguments rage on and the government considers various proposals for reform, it is clear that we have yet to see the full impact of Snowden's disclosures. 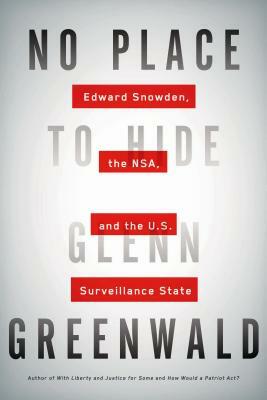 Now for the first time, Greenwald fits all the pieces together, recounting his high-intensity ten-day trip to Hong Kong, examining the broader implications of the surveillance detailed in his reporting for The Guardian, and revealing fresh information on the NSA's unprecedented abuse of power with never-before-seen documents entrusted to him by Snowden himself. Going beyond NSA specifics, Greenwald also takes on the establishment media, excoriating their habitual avoidance of adversarial reporting on the government and their failure to serve the interests of the people. Finally, he asks what it means both for individuals and for a nation's political health when a government pries so invasively into the private lives of its citizens—and considers what safeguards and forms of oversight are necessary to protect democracy in the digital age. Coming at a landmark moment in American history, No Place to Hide is a fearless, incisive, and essential contribution to our understanding of the U.S. surveillance state.